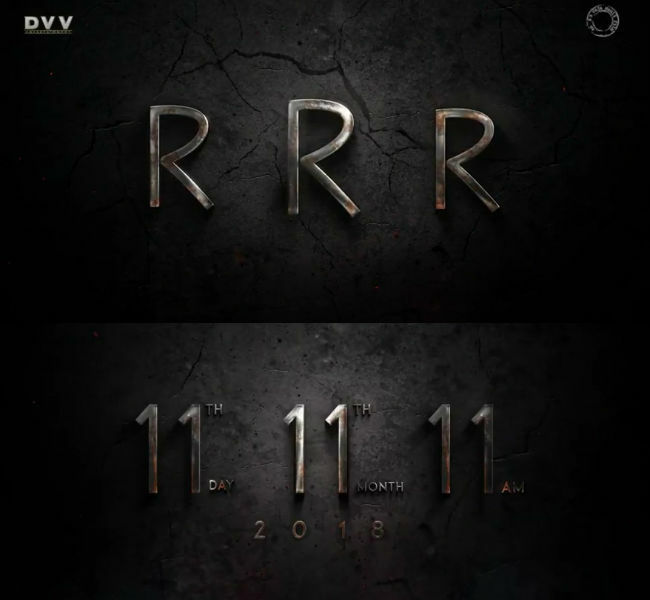 S S Rajamouli's much talked about film RRR has finally got its launch date. The makers have made an official announcement. This Ram Charan and NTR starrer will be launched on 11th November at 11 AM in Hyderabad. They announced, "The muhurtham is 11.11.11 (11th Day 11th Month at 11am)." DVV Danayya is producing this film. Music will be given by MM Keeravani. What will be the nature of Ram Charan and NTR roles is not known. Rumours are that one of them might be seen in negative role. Leading women of the film are yet to be finalized. Already a set has been erected at Aluminium factory in Hyderabad. Parineeti Chopra to be part of RRR?